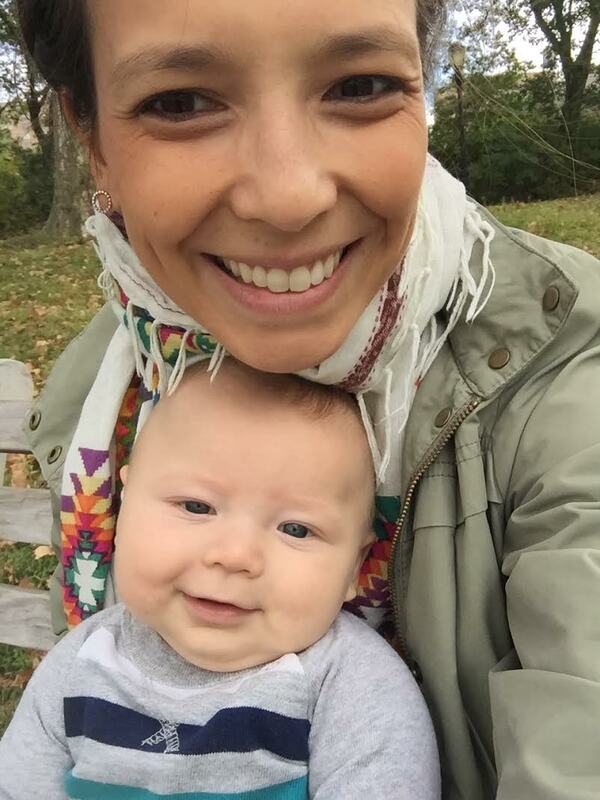 Prenatal Yoga Center | Mom of Month: Meet Jamie Hurwitz! There is no “normal.” I can’t get over how different every baby is. As a brand new mom, I love having the PYC community to connect with other moms, and naturally, the conversation turns to our new babies. What bottles do you use? Do you swaddle for naps? What if he hasn’t pooped in 2 days? Your baby is sleeping through the night at 8 weeks?! 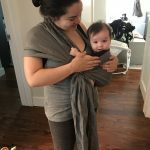 I’ve learned that everything from nap patterns, to stroller toys, to baby’s favorite position to be held varies from baby to baby with no apparent rhyme or reason. No wonder it feels like every piece of advice you receive as a new mom is different and often conflicting – every baby is so different! That said, it’s still great to bond over shared experiences and tips. You just learn to welcome anecdotes and advice from others as good information, but not necessarily suggestion. Only you know what works for your baby. The most important thing for your baby is to have an engaged parent. My being present, enthusiastic, and happy are all things that my son, Jaxon, thrives off of, and he can totally tell when I’m frustrated or tired. Easier said than done during your first few weeks of extreme sleep deprivation! So do whatever you need to do to get yourself some rest or a break, so that when you are with your baby, you are 100% there. Let your mother-in-law do laundry, let your coworkers bring dinner, get a babysitter for 4 hours one afternoon so you can get a mani-pedi and a savasana. Your baby will thank you for it! Also, don’t wash your pump parts every time you pump! I put them in the fridge between sessions (flanges and bottles) and only wash them once or twice a day. 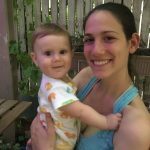 I’m a ClassPass fiend, so I was getting kind of annoyed when my husband started asking me, “So when do you need to stop working out?” in my first trimester. I knew the answer was, “I don’t!” but I honestly didn’t know much about the appropriate modifications to observe during pregnancy. I started going to prenatal classes around 28 weeks and continued going 3-4 times a week throughout my pregnancy. I really appreciated the sense of community and shared experiences. Hearing about what other pregnant women were going through was both informative and comforting along the way. My husband and I also took the childbirth education and breastfeeding workshops. 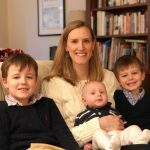 I knew we couldn’t dictate how labor and delivery would go, but I’m a type-A person who wanted to know as much as possible going in, so I’d feel confident making decisions as things progressed. I also saw a chiropractor at Deb’s recommendation who did a labor-prep pelvic alignment for me just days before going into labor. My labor was quick. There were no mild contractions, no time for the yoga ball to be inflated. My water broke first and I went straight into active labor. I was five cm dilated when I got to the hospital, and 10 cm dilated a few hours later. I was in disbelief when the doctor told me it was already time to push! I firmly believe I owe a lot of that smooth delivery to the guidance and recommendations I got from the ladies at PYC. What is your favorite way of bonding with your baby? Literally any way I can get him to laugh. Lately that includes tickling his face with my pony tail, putting the whoozit toy on my head and pretending I lost it, and singing “Head, shoulders, knees and toes” in Japanese (for some reason that is much funnier than English, who knew!) Jax has torticollis, a tight neck muscle that causes him to favor looking right, so bonus points if I can get him laughing while looking left!